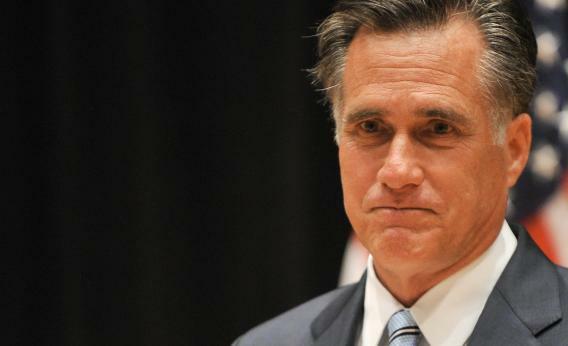 Mitt Romney 47%: Conservatives defend his comments. What he ought to do is step up and embrace the basic division in our nation, including the fact that nearly half the country pays no income taxes. Acknowledge it — and then explain why, morally, this is not a good thing. Why having no skin in the game while at the same time demanding a say in the proceedings at the federal level is fundamentally undemocratic. One need not embrace the Starship Troopers ethos of Robert A. Heinlein to understand that in a democracy, everyone should pay something — and that to confuse the issue of the (Progressive-era) 16th-amendment-sanctioned federal income taxes with Social Security (“payroll”) levies and state and local taxes is intellectually dishonest. He was telling the truth about the most important issue in the election — how Americans are taxed in hidden as well as open ways so that many of them don’t even realize the degree to which they’re being taxed. Then he should have made the rest of his statement a philippic on Obama and the tax issue. There’s already been a fair deal of lazy commentary comparing Romney’s words to the ones Barack Obama uttered at a San Francisco fundraiser before the 2008 Pennsylvania primary – the stuff about how in bad economic times, “people get bitter, they cling to their guns and religion.” The one commonality between those hidden-tape gaffes is that they inform donors of what they already think about the stupidity of their fellow voters. Any liberal, in 2008, was familiar with Tom Frank’s What’s the Matter With Kansas? thesis about how Republicans suckered poor people into “voting against their interest.” Any conservative, in 2012, is at least familiar with the “lucky ducky” quasi-Marxist theory that people who benefit from government spending will never, ever vote to cut it. Did Romney’s late night (actually, 7 p.m. local time) presser clean up the story? I think it did so in this way: He did not back down from the comments. He left the impression that his point, about moochers versus makers, was valid. And when Limbaugh warms up the microphone again today, he’ll be reinforcing that message, not tearing chunks out of Romney.